Brain Damage from Hydrogen SulphideGas ExplosionPlaya del ReyPlaya VistaSouthern California Gas Co. The Award Winning Report on the Gas and Cancer-Causing Health Hazards of Playa Vista Has Disappeared From the KNBC Website Completely. The George Foster Peabody Awards (Peabody Awards) recognizes distinguished and meritorious public service by radio and television stations, networks, producing organizations and individuals. Part 1, the main report has disappeared from the KNBC website. We couldn’t find it on the net, even the great Grassroots Coalition links from their website are broken. In addition, the video from the 2 follow-up updates are also gone, although the transcripts are still there. So here is another burning question: Why doesn’t KNBC keep their video on the net for this great report? One thought is that they are “out of room on their website”. If that is the case, why not delete some fluff, which they have plenty of these days, and keep the Peabody Award report on forever, especially now when the Playa Vista story is heating up again? In fact, the Playa Vista story is literally exploding, the gas flames shooting up 100 feet or more in the air and sending gas fumes out for miles, scaring residents of the area. Southland News Bureau is posting the video of Part 2 and Part 3 of the KNBC reports and is looking for a video clip of Part 1. Meanwhile, follow our own Southland News special reports on Playa Vista and other Los Angeles Oil and Gas hot spots. Part 1 Aired May 25, 2005 Video Removed from KNBC site. Part 2 http://www.nbclosangeles.com/news/local/June_2005_Burning_Questions_Part_II.html. Available here on Southland News. Part 3 http://www.nbclosangeles.com/news/local/August_2005_Burning_Questions_Part_III_.html. Available here on Southland News. Here is Part 3 of the old NBC Report on Playa Vista from August 17, 2005. Click here for the direct link. Click here for direct link to KNBC video or watch embedded video on this site. An NBC series called “Burning Questions” from 2009 exposed many of the potential hazards of dangerous chemicals at the Playa Vista site. Here is Part 2 of that excellent series. The unfolding story of the deadly gas underneath Marina del Rey and Playa Vista as our Whistle-Blower, Mr. “X” explains how the War Department initiated storage of massive amounts of natural gas in a huge underground “cavern” during WW2. 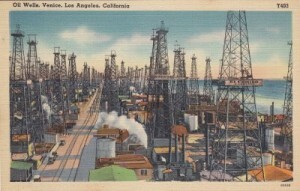 They turned it over to the Southern California Gas Company after the war. The bad news? The entire area is punctured with hundreds of old oil wells. The “safe” storage in this geologic formation is leaking, and no one is pressing the Gas Company to find out how much leakage there is, AND where it is going. Part Three of this horrific story, with much more to come. BenzineBeverly Hills High Schoolchemical poisoninggas wellsMarina del ReyOil wellsPlaya VistaSouthern California Gas Co.
Part 2 of the series Poisoned Paradise. Maps and information on where the dangerous oil and gas fields are, in other words, where NOT to live. Leaking oil and gas under Beverly Hills High School. More background information on oil and gas wells and how they leak and sometimes explode without warning. 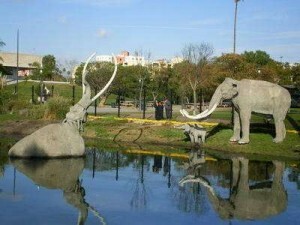 If you live in Los Angeles you will have heard of names like Beverly Hills High School, Belmont Learning Center, the La Brea Tar Pits, Marina del Rey and Baldwin Hills. What do they all have in common? Deadly leakage of gas and oil coming from abandoned oil fields as well as leakage from other situations. Follow the trail with our Whistle-Blower as he narrates the gripping story that is still unfolding in this exclusive series of reports. The Los Angeles Basin Was One of the Biggest, Richest Oil and Gas Bonanzas of all Time; It is also now One of the Most Poisoned Places in America. “Mr. X”, a Whistleblower, Exposes the Corruption, Greed, Fraud, and a Reckless Government that Continues to this Day. Because Underneath our Cities is a Monster, Laying in Wait to Spread Its Death to You. The Monster is Oil and Gas, Seeping Out of the Depths Through Abandoned Wells, Making Its Way To The Surface and Ultimately Into The Water, The Air, Your Body. Sometimes It Just Blows Up, Like a Bomb, With No Warning. God Help You if You Are in the Wrong Place at the Wrong Time. By the end of this series, you will know where NOT to live, where NOT to send your children to school, and where to avoid drinking the water. This is an incredible story, one that goes back to the old days of the Spanish Land grants. Our whistleblower follows the story down through the ages, from the wetlands to the massive modern real estate developments. This series contains the most important information that you will ever need to live in Los Angeles.